The Macon-Bibb United Boxing Club is hosting a boxing tournament at Freedom Park (3301 Roff Avenue) on Saturday, February 9. Entry is just $15 (children under 5 are free), doors open at noon, and the bouts start at 1:00 p.m. Fifty matches are already scheduled with competitors from Georgia, South Carolina, North Carolina, Florida, and Alabama. Ten of the competitors train at the Macon-Bibb United Boxing Club. “This is the biggest event we’ve ever had in the arena. We’ve gotten calls all the way from Baltimore, Miami, and Houston about how signing up, but we are already full,” says James Hand, Center Supervisor for Freedom Park. “Our reputation is growing in the Southeast, and every event, we get more and more interest. Freedom Park is in the middle of a major improvement and upgrade effort funded by the voter-approved Special Purpose Local Option Sales Tax. The first phase of this effort was converting the gymnasium into the Bishop Frank Ray Arena, a two-ring, 600-seat competition space and training areas. Since opening, the Arena has hosted about a dozen local, state, and national tournaments, including the Georgia Golden Glove Tournament. For more information about joining the boxing team or sign up for cardio and training, visit them at 3301 Roff Avenue, or give them a call at 751-9248. 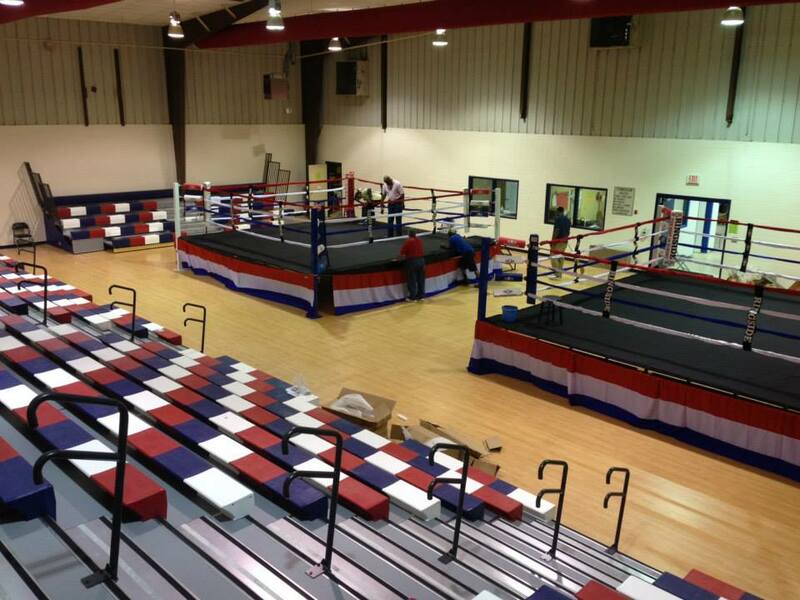 Also, you can like the Macon-Bibb United Boxing Club on Facebook to stay up-to-date with activities and events. The second phase of improvements was funded with $2.6 million from the voter-approved Special Purpose Local Option Sales Tax (SPLOST) and included: four new baseball and softball fields in a wagon wheel configuration, a new concession stand at the center of the fields, a new splash pad, removal of the pool that has been inoperable for several years, and relocation of Morgan Drive so it doesn’t go through the middle of the fields. The third phase of improvements are now underway, and Commissioners, Recreation Department, and Vine-Ingle Little League held a Groundbreaking Ceremony on Wednesday, January 30. You can watch video and see pictures of that ceremony on the Macon-Bibb Recreation Facebook page. In this round of construction, Freedom Park will get four new ballfields, sidewalks, basketball courts benches and bicycle racks, scorers’ tower, concessions building and terrace, batting cages, bleachers, scoreboards, lighting, maintenance building, and more. The project is being funded with $2,292,600 from the voter-approved Special Purpose Local Option Sales Tax (SPLOST).